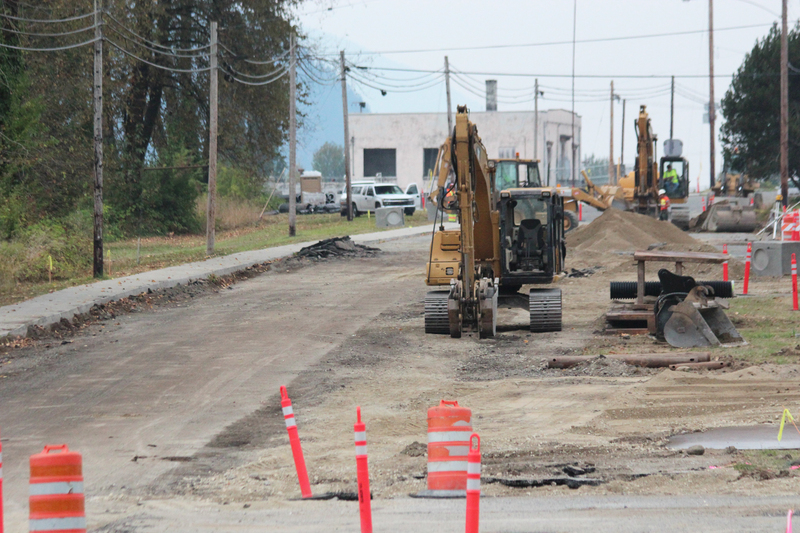 September found two major road projects under way in Concrete. A complete reconstruction of Main St. from Cupples Alley to Superior Ave. began Sept. 17, with a planned finish date of sometime during the week of Oct. 1. A three-week detour began Sept. 24 and is scheduled to run through Oct. 12. During the detour period, only local residents who live along the construction zone will be allowed access to Main St. between Cupples Alley and Superior Ave. When the detour is not in effect, flagged traffic through Main St. will be permitted; however, delays should be expected. Local residents who do not live along the construction zone are encouraged to use alternate routes. The western portion of the post office parking lot will be affected by the construction. Look for a closure of the west driveway access to and from Main St. across from C Ave. The remaining two access points to the post office will be unaffected. There will be no parking along Main St. within the construction area. The Main St. reconstruction project elements include asphalt paving, curb and gutter, concrete sidewalk, grass planting strip, gravel parking, paint striping, enclosed storm drainage facilities, and a block wall. Work also will upgrade and replace portions of existing water main lines along Main St. between A Ave. and Superior Ave., and install hydrant assemblies and valves. 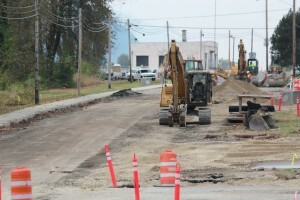 The Main Street reconstruction project is funded in part by a TIB grant for $963,410. The total cost of the project is estimated at $1,014,747, leaving the town to pay $51,337. A permanent repair to the area of Burpee Hill Rd. that subsided in January 2011 began Sept. 24 and is expected to last until approximately Nov. 2. A three-week road closure will be in place from Oct. 1–19. While the road closure is in place, no traffic will be allowed through Burpee Hill Rd. from the intersection of Limestone and Superior Ave. to the town limits on Burpee Hill Rd. When the detour is not in effect, flagged traffic through Burpee Hill Rd. will be permitted; delays should be expected. Proposed repairs to the problem area include erosion control, excavation of slide-prone material and roadway subgrade, installation of an underground drainage system, placement of quarry spall, installation of geotextile fabric and Spiralnails for slope stabilization, and asphalt pavement repair and striping. This Sept. 28 photo shows a portion of Main St. in Concrete near the post office torn up as crews progress westward toward Superior Ave. Reconstruction of this section of Main St. began Sept. 17, with a planned completion date of sometime during the week of Oct. 1.